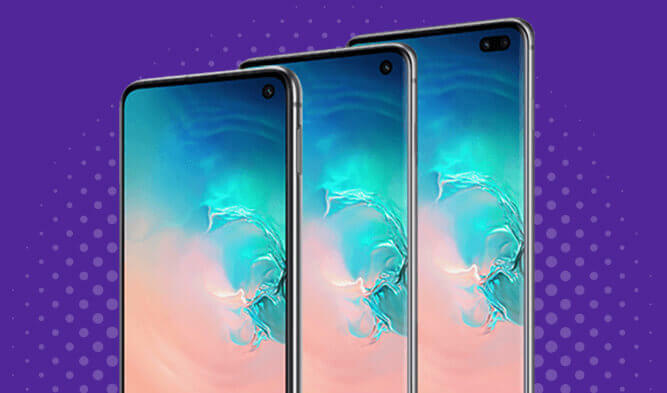 Choose from our best Samsung mobile phone deals and cheap pay monthly offers today and get your new phone delivered tomorrow. Find out everything you need to know about Samsung and its advanced Galaxy devices below. From the best features to the best network, we’ll help you decide which deal and model to go for. Samsung mobile phones cater for all types of budgets and users and the likelihood is you know someone who’s got one. 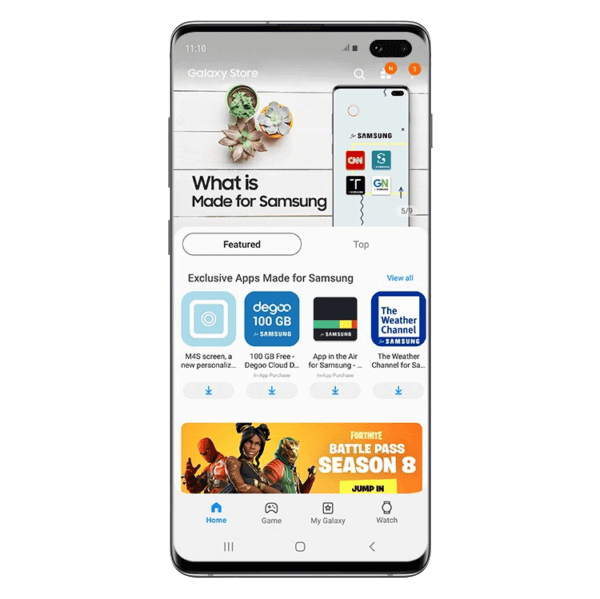 With flagships that offer crystal-clear displays and super-powerful processors, Samsung phones boast the innovation and tech of a market-leading mobile brand. Which network should I buy my new Samsung on? Should I buy my Samsung on EE? If you get your new Samsung on an EE Essential tariff you can expect inclusive roaming in 48 EU countries, free access to Apple Music and Amazon Prime for 6 months and 3 months’ free BT sport. If you opt for the EE Max Plan, enjoy BT Sport for your full contract term and roaming in an extra 5 countries. Should I buy my Samsung on O2? Enjoy all the perks of Priority with your new Samsung on O2. Be among the first to get access to event tickets, win prizes, freebies and exclusive discounts. Enjoy care-free roaming in 75 destinations (on selected plans) inclusive of your tariff and enjoy fast 4G in the UK. Should I buy my Samsung on Three? Get rewarded for being on Three with the Wuntu app, with exclusive offers, prizes and freebies to pay monthly customers. With plans over 12GB, you can enjoy data free streaming with the likes of Netflix thanks to Go Binge. As standard with Three, you can roam in over 70 countries too. Should I buy my Samsung on Vodafone? On Vodafone, its Red Extra Plans are more than suitable for most users with Roam-Free in 48 countries. On a Red Entertainment Plan, you can roam in an additional 29 countries and enjoy other perks like a 24-month subscription from the like of Prime Video, Spotify or Sky Sports TV. Which Samsung phone is the one for me? 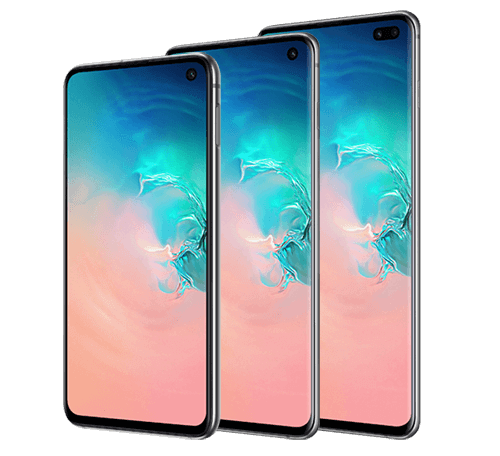 At launch, Samsung Galaxy S10, S10 Plus and S10e were the first Samsung devices to sport the punch-hole Infinity-O displays. With an all-screen look, wireless power sharing and amazing camera tech, these Androids back up their beauty with power. The Galaxy S9, S9 Plus and Note 9 sport amazing screen technology along with camera and tech upgrades from the previous release. The Galaxy S9 device’s main appeal is its low-light photo capability, while the likes of Note 9 boasting an enhanced battery and a nifty Bluetooth S Pen. On their release, Galaxy S8 and S8 Plus were real gamechangers with beautiful Infinity displays, improved cameras and usability features, such as its iris scanner. 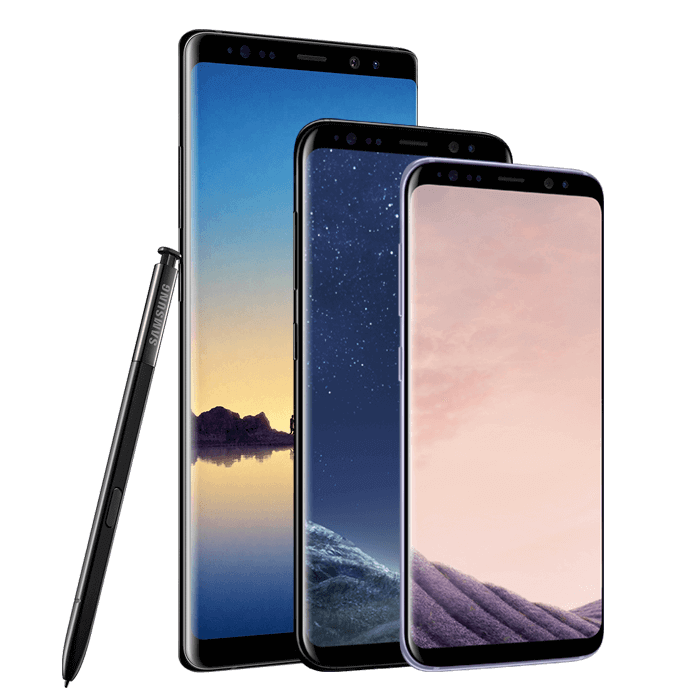 Galaxy Note 8 was the big return of the Note series, combining work and leisure with great screen tech, cameras and power. With Samsung Galaxy S7 and S7 Edge, you get a well-rounded device that sports the classic Galaxy look with sharp cameras, a large battery and Quad HD display. Samsung also offers a range or great-value handsets under its Galaxy ‘J’ and Galaxy ‘A’ range that are often cheaper than flagships. These phones come with the latest look, impressive screen tech and high-quality cameras. 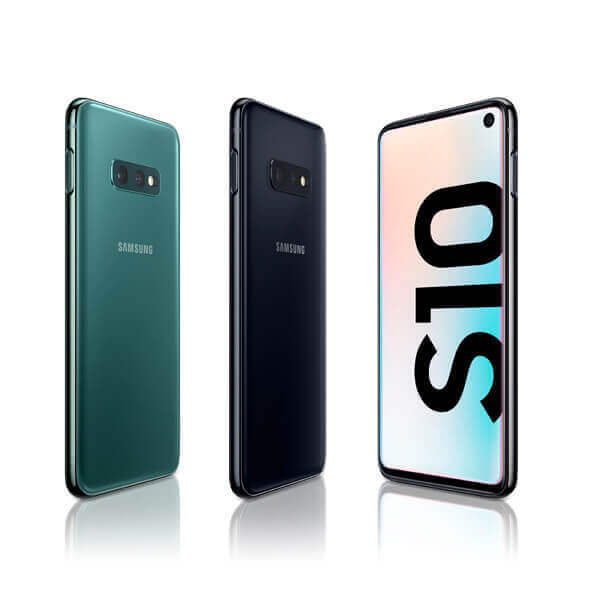 The Galaxy S10 generation devices come with Samsung’s Wide QHD+ screen and dynamic AMOLED technology, offering true-to-life image reproduction, rated at the time, it’s ‘best ever’ display. If you like a shameless selfie or an Insta upload, the cameras on Galaxy devices are crisp, sharp and perform in low-light. Get more in your shot with extra zoom and even capture video in 4K. A clean and clinical user experience is the focus of One UI by Samsung. It combines all that’s great about Android phone technology and lets your Samsung phone do all the hard work for you. 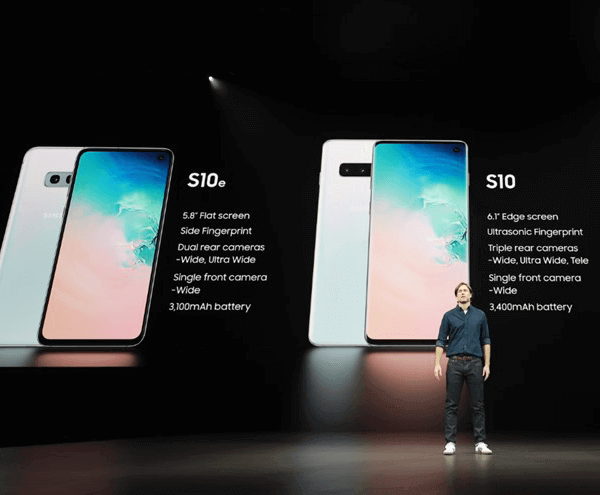 The Galaxy S10 and S10 Plus were the first Samsung handsets to come with a handy PowerShare feature. This means you can charge friends’ phones with wireless tech or boost your Galaxy Buds.